It’s hard to tell, but nearly every aspect of the 2019 Mercedes-Benz G Class has been improved. Despite the deep overhaul, the SUV retains its classic boxy shape and subsequent high-price for 2019. 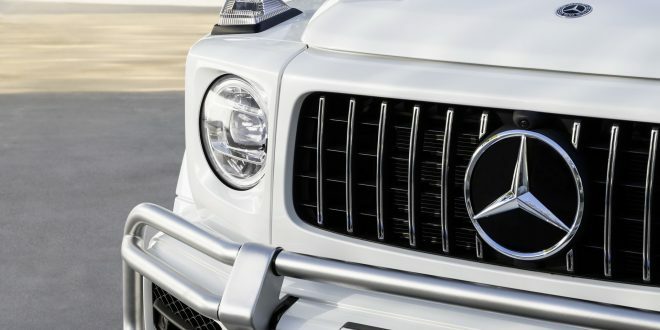 Mercedes has confirmed the 2019 G550 will start at $125,495, a fairly modest $900 price hike versus the 2018 model. The gap between 2018 and 2019 model grows a little larger with the G63 though, which now starts at $148,495; an increase of about $3,700 over the 2018 version. Of course the price delta between the G550 and G63 is quite justifiable. The 2019 G63 is powered by a twin-turbocharged 4.0-liter V-8 that churns out 577 horsepower and a staggering 627 pound-feet of torque; a sizable jump from the G550’s 416 horsepower rating. G63 buyers are also treated with gobs of carbon fiber trim and other AMG exclusives to help justify the heftier price point. The 2019 G550 is available now at your Mercedes-Benz dealership, but those interested in the G63 will have to wait a bit longer as it doesn’t arrive until early next year.